Patrick Harvie, the leader of the Scottish Green Party, says he has endured anti-gay jokes from parliament colleagues. Speaking to Scotland on Sunday, the 38-year-old, who is bisexual, said he knew some MSPs had made “homophobic” remarks about him behind his back. He said he had “occasionally” heard jokes about his sexual orientation in Holyrood. “It’s certainly on balance a very supportive workplace, but any group of 129 people is going to include a range of views and values,” he said. “The most important point is that it is a lot less hostile than a lot of workplaces and a lot less hostile than politics used to be. The main thing is that we have come a very long way. 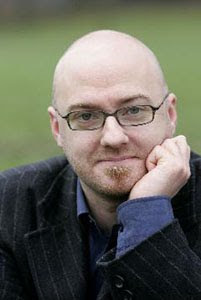 Mr Harvie, who was elected in 2003, is the MSP for Glasgow. He made history in 2008 when he became the UK’s first LGBT political party leader.